The government is looking to raise as much as Rs 5.63 lakh crores from the sale of mobile phone airwaves in the nation's biggest-ever spectrum auction that begins on 29 September. "Large chunk of spectrum is being put for auction which aims to address the issue of fragmentation, improve quality of service, and rules have been made bidder friendly," Telecom Secretary J S Deepak said while releasing the bid document called the Notice Inviting Application (NIA). 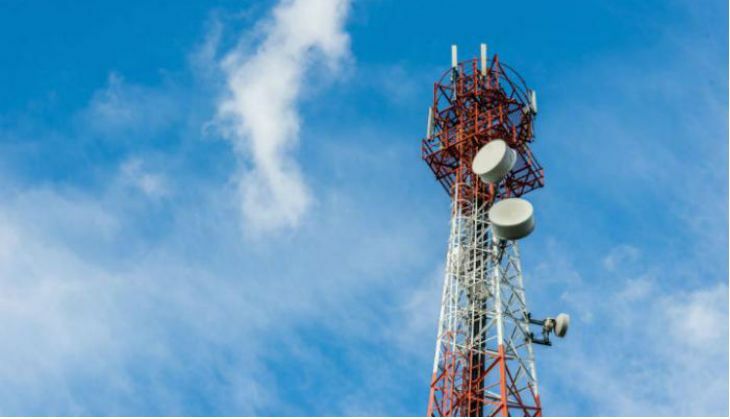 The government will put a total of 2,354.55 megahertz of mobile airwaves frequencies for auction in all bands - 700MHz, 800MHz, 900MHz, 1800MHz, 2100MHz, 2300MHz and 2500MHz. All the airwaves being put for auction can be used for high-speed 4G services. This is the first time airwaves in 700MHz band will be put up for auction. The airwaves in this band are considered premium among all, as the cost of providing service in it is one-third of 3G service in 2100MHz band. "Quantum of spectrum is favourable. There are positives including the fact that contiguous spectrum is now available in all bands, and lock-in period has been reduced to one year," Industry body COAI Director General Rajan S Mathews said. But the pricing of 700MHz is a concern, he said. "We see relatively good demand for 1800MHz band, some demand for 2100 and 2300MHz band. Limited demand for 700, 800 and 900MHz bands. I will be surprised if there are any takers for 2500MHz band," Mathews added. While Norway's Telenor has already announced its decision not to participate in the spectrum sale, there are doubts if some of the leading domestic players may bid very aggressively after they bought airwaves in inter-company trade this year. The 700MHz band alone has potential to fetch bids worth Rs 4 lakh crores if all spectrum in it gets sold at the base price. Bidder interested in buying spectrum in 700MHz band will have to at least a block of 5MHz amounting to around Rs 55,000 crores. "700MHz is the top quality spectrum. It has beaten gold so it is expensive. We will wait for the auctions to see what the response is," Deepak said. The government expects to raise at least Rs 64,000 crores from the spectrum auction this fiscal. To attract bidders, it has for the first time promised to assign spectrum within 30 days of making upfront payment by successful bidders. It has also reduced interest on installments to 9.3% from about 10% earlier. "The roll out obligation will be considered complete if the district headquarters and block headquarters are covered by use of any technology in any band. In the sense that if a district headquarter is covered through one technology it does not have to be done by other technology," Deepak said. Successful bidders will be allowed to self-certify network roll out to the tune of 90% while 10% will be left for verification by Department of Telecom's (DoT) monitoring arm. Telecom companies winning spectrum in 700, 800 and 900MHz band will have to pay at least 25% of the bid amount initially in around 10 days after the auction ends. Rest of the payment will have to be made in 10 annual installments after two years of moratorium. For rest of the bands, at least 50% of payment will have to made. Interested bidders will have to submit applications for participating in the auction by 13 September. In 2015 auctions, among the firms that aggressively bought airwaves were Bharti Airtel Ltd, Idea Cellular, Reliance Jio. Telecom operators had to bid in 2015 auction for continuing operation as their airwaves was put for sale. "In the upcoming spectrum auction, the spectrum is not for renewal and therefore the operators are unlikely to bid aggressively as they would buy spectrum for new services or augment their spectrum holding," Hemant Joshi, Partner, Deloitte Haskins & Sells LLP said. The government has modified method of calculating spectrum cap in a circle in a way that will allow companies to hold more spectrum compared to earlier levels. "The spectrum surrendered has also been included in the calculation of spectrum cap apart from spectrum put to auction and assigned spectrum. The spectrum cap shall not be reduced in case spectrum is allocated for non-commercial use after auctions," as per the NIA. The DoT will hold a pre-bid conference on clarification over NIA on 13 August.